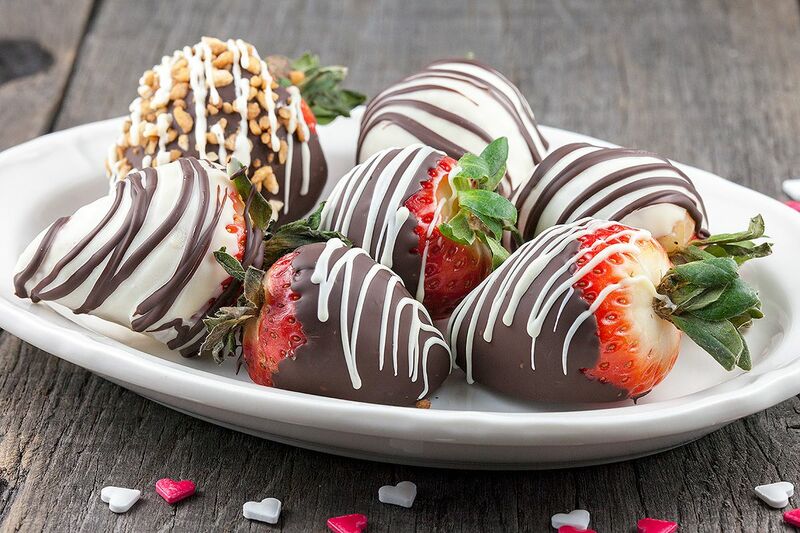 Don't these chocolate dipped swizzled strawberries just look absolutely amazing? Valentine's day is coming up, so get your chocolate ready! 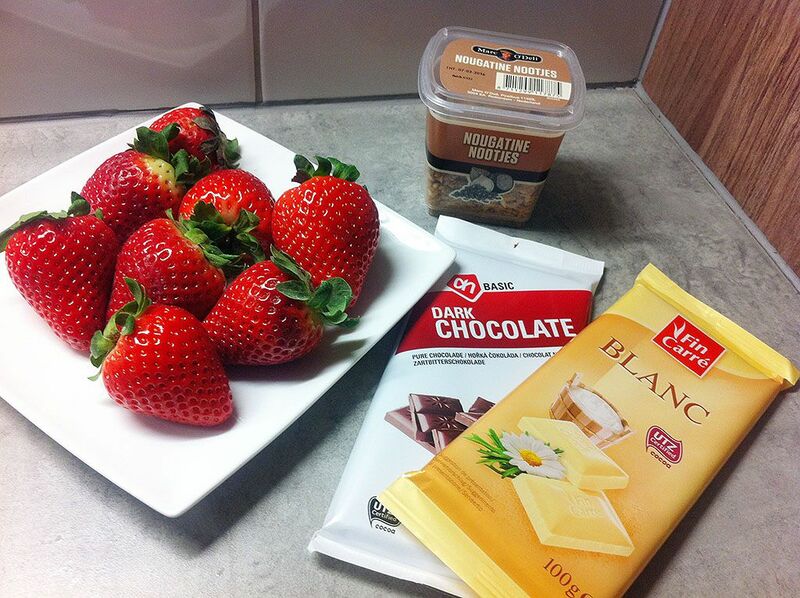 Buying those beautiful chocolate strawberries in the stores is quite expensive. They may seem complicated, but they absolutely aren’t! 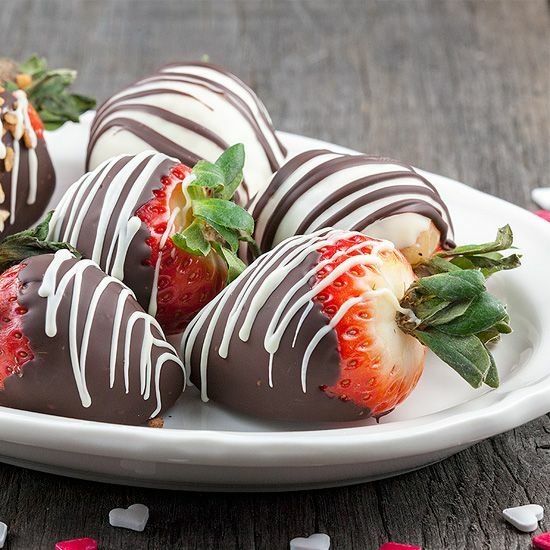 So get yourself some chocolate en beautiful strawberries en create your own Valentine’s gift for your lover, or save this recipe for Mother’s day! First get your bain marie ready. Making a bain marie means you add a small amount of water to a pan, bring it to a boil on medium high heat and place a bowl on top. The bowl shouldn’t touch the water, this way the steam from the boiling water will gently melt the chocolate inside the bowl. ADD dark chocolate first. Don’t stir too much, wait and then gently stir them once for lovely perfect melted chocolate. Don’t let them become too hot. PLACE the white chocolate in the second bowl and set aside. RINSE the strawberries with cold water and pat them dry using paper kitchen towels. Now for the leftover chocolate, make sure it’s still warm enough. You can also put the bowl back onto the pan and heat a little bit more. Then pour the warm chocolate into the small piping bags. 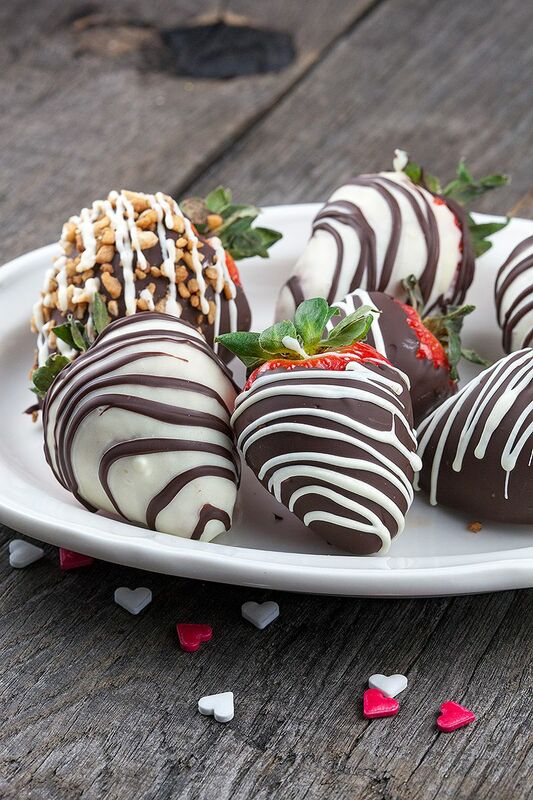 Make a tiny hole in the tip of the piping bag and slowly drizzle dark chocolate over the white chocolate covered strawberries and white chocolate over the dark chocolate covered strawberries. All you have to do is wait until the chocolate cooled off completely and is hard enough to transfer to a nice gift box. Thanks! They sure were yummy hihi!